Today, I am going to talk about NSA Finest Tool Fuzzbunch Stolen by Shadow Brokers and Now Freely Available For Public All Over The Internet. First of all, I want to do the hand off for Shadow Brokers because they really rock the world. They Hacked NSA (National Computers and Steel Their Secret Hacking Tools. WOW! Amazing. According to Wikipedia """The Shadow Brokers (TSB) is a hacker group who first appeared in the summer of 2016. They published several leaks containing hacking tools from the National Security Agency (NSA), including several zero-day exploits. Specifically, these exploits and vulnerabilities targeted enterprise firewalls, anti-virus products, and Microsoft products. 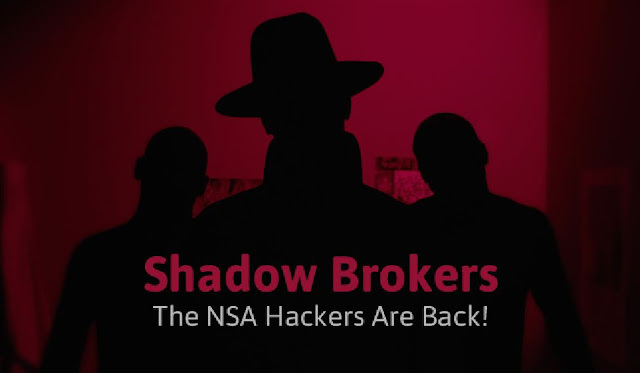 The Shadow Brokers originally attributed the leaks to the Equation Group threat actor, who have been tied to the NSA's Tailored Access Operations unit.""" Fuzzbunch is an Exploitation Framework Written In Python2.6 By NSA Computer & Networking Experts For Exploiting Various Victim Computers Remotely. This Framework contains many types of exploits, spy software, malicious files and other tools that can easily help any hacker to hack and gain access to various operating systems in minutes. In Simple Words, This tool also works like Metasploit Exploitation Framework. As Metasploit, it also has capabilities of being able to profile target and suggest exploits that may be successful on the target as we as a comprehensive framework for exploit development and exploitation. The Only Difference Between Metasploit and Fuzzbunch is Metasploit is Open Source And Completely Available To Public But Fuzzbunch is an NSA Secret Hacking Tool, Completely Secret. Available Exploits/tools and Their Features. PASSFREELY utility which "Bypasses authentication for Oracle servers"
NAMEDPIPETOUCH Utility to test for a predefined list of named pipes, mostly AV detection. User can add checks for custom named pipes. In my Next Post, I Will Show you how to use it.